Freestyle kayaker David Silk of Farmington talks about what it's like to be a kayaker from Connecticut, the progression of the sport and how it affects his schooling. It’s mid-July and fifteen year old David Silk and his father Steve are sitting in the Farmington center Starbucks recounting David’s experiences thus far in the 2014 competitive kayaking season. One of their favorite stories takes place in June at the Payette River Games in Cascade, Idaho where David suffered a broken nose when he was intentionally rammed by another kayaker during a competition known as “8 Ball”. “Four boaters go down the river” explains David, “and then you add a bunch of people whose goal in life is to mess up those four boaters…” Steve clarifies, “they’re the 8 balls and their goal is to wipe out the racers.” The event is designed to provide maximum carnage for spectators and looks like a combination of whitewater kayaking, motocross and demolition derby. The impact that broke David’s nose was captured in a spectacular photograph that went viral in the kayaking world. In it David is flat on his back in his kayak at the bottom of what appears to be an explosion of other kayaks, oars and paddlers. David Silk was born, raised and still resides in Farmington, Connecticut. His parents are local business people and kayaking enthusiasts who first met while paddling whitewater at the Tariffville Gorge many years ago. David however was not introduced to kayaking until he was 11 years old. Both parents had been away from the sport for a period of time when a family outing paddling sit-on-top kayaks down the Housatonic River rekindled their enthusiasm for the sport and sparked David’s interest. Shortly thereafter he received a kayak for his 12th birthday and has since gone from family outing to sponsored athlete traveling the world to compete at the highest levels of the sport. 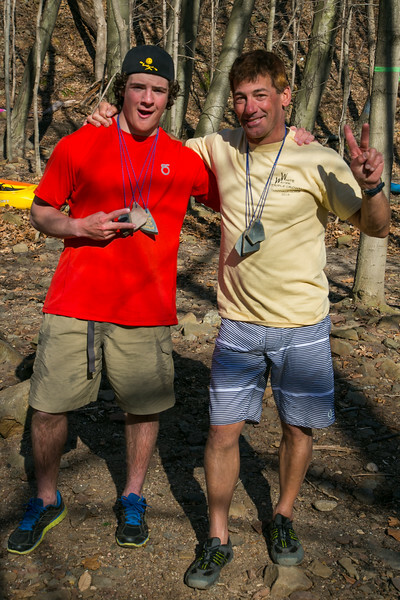 David’s 2014 kayak season started in April at a little race called the Punch Brook Slalom on the Farmington River in Burlington. Not that he really “does” slalom. David’s specialty is freestyle kayaking - performing tricks like flips and spins on large rapids. These days slalom racing is a holdover from a previous era of kayaking competition. “All the progression in the sport is in freestyle now” says David. Like skiing and mountain biking, kayaking is another sport that has been “free’d” over the past decade or so. Many young people coming into the sports these days are finding free-riding, free-skiing and freestyle kayaking far more alluring than their less spectacular, race oriented predecessors. And it’s not hard to see why. While one can appreciate the skill and discipline that goes into winning slalom skier’s run, or the fitness of a top level mountain bike racer neither can compare to the jaw dropping excitement and “HOLY S*&%!” reaction of watching a freeskier launch a backflip off a 100 foot cliff in Alaska, a freeride mountain biker soar over a 70 foot canyon in the Utah desert or a freestyle kayaker flipping his boat out of a Class V rapid on the Ottawa River. In this X-Games influenced, GoPro enabled world cultivating what Steve Silk describes as “intimacy with the water” - the hallmark of a great kayak slalom racer – doesn’t hold much appeal. Unfortunately for athletes like David, New England doesn’t boast the extreme terrain, (or white water) necessary to push the envelope in any of these sports. “It used to be really big” says David, referring to the role the New England kayaking scene played in the world of white water sports, “but that was when slalom was the big thing. Now that creeking and freestyle are the big thing there’s no one really coming out.” What New England does provide is a good training ground for learning the skills necessary to move on to more challenging terrain. For David Silk that training ground is the Tariffville Gorge. 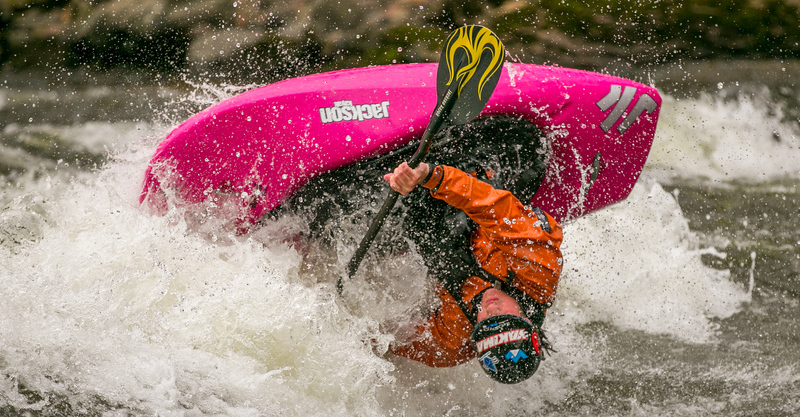 Famous for providing consistently reliable white water, “T-Ville” as it is known draws paddlers from all over New England and New York to train and play on its Class III rapids. “It’s where David learned all his chops,” says Steve. Having this training ground practically in his back yard accelerated David’s development from novice to top level freestyle paddler in just a few short years. It didn’t take long before he was entering competitions and drawing the attention of some of the sport’s most prominent figures. A sponsorship with Jackson Kayaks soon followed and David’s horizons quickly expanded way beyond T-Ville. In the past year and a half David has taken the chops he developed in at T-Ville to the sport’s big stage. “There’s a competition circuit,” he explains, “it starts in Reno, Nevada… and finishes in Cascade, Idaho.” The circuit that David is referring to is a series of springtime mountain and river sports festivals that begins with the Reno River Festival in early May, moves through a number of events in Colorado - including the high profile GoPro Games in Vail - during May and early June, and concludes with the Payette River Games in Cascade, Idaho in late June. 2014 was David’s first year following this circuit which represented a big step up for him in the level of competition. Most of these events featured the extreme white water, and events (like the nose breaking 8 Ball), that don’t exist in New England. How does a 15 year old reconcile two months of spring kayaking in the western United States with the demands of high school? When asked that question David replies in a matter of fact tone, “actually I’m doing online school now.” Thereby revealing what will likely be the most talked about aspect of his personal journey. In order to continue his progression in the sport David will need to leave a conventional education behind. Earlier in the year 2013-2014 school year the Silks approached Farmington High School about the possibility of David taking some time off in order to hit the competition circuit. “We tried to work something out,” recalls David, “but basically they said if you miss twenty days we’re going to have to hold you back.” The solution they found was switching to an online high school program offered by the University of Nebraska. Looking forward the Silk family has no plans to leave its Farmington roots, however “we’re looking to get David out on some bigger features” says Steve. This means a stepped up travel itinerary to increasingly exotic whitewater locations. Class V rapids on the Ottawa River in Ontario and the Nile in Uganda are on the hit list. David Silk poses with Eric Jackson of Jackson Kayaks.